Papa Bear Glenn gets his tractor on. Saturday found my father and I seated in his Case IH , with him operating the chisel plow while I tucked myself up on the side of the cab to navigate, trying not to get launched out the back window pushes out but doesn’t lock (don’t tell the folks at my upcoming tractor safety course). Together, we plowed the south-facing slope of my hill. Back by popular demand – more Strider pictures! 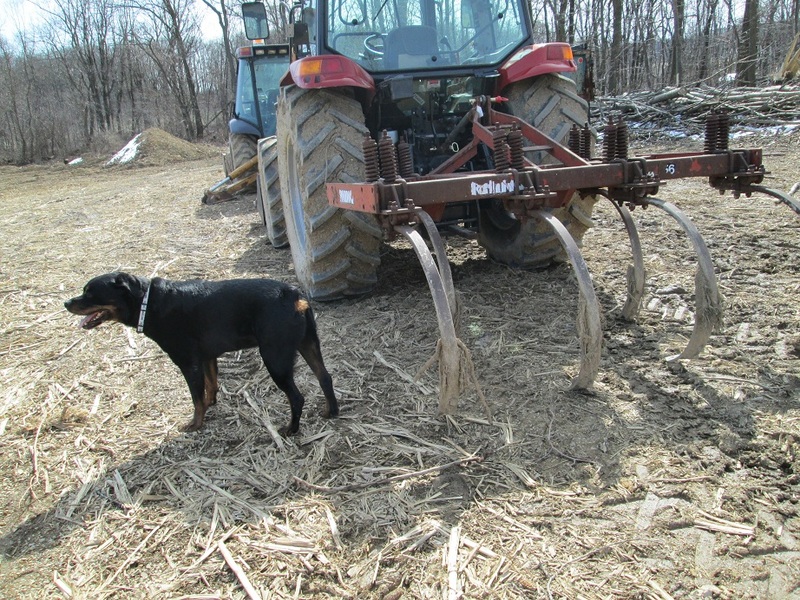 He is wondering how the mechanics of a chisel plow work. 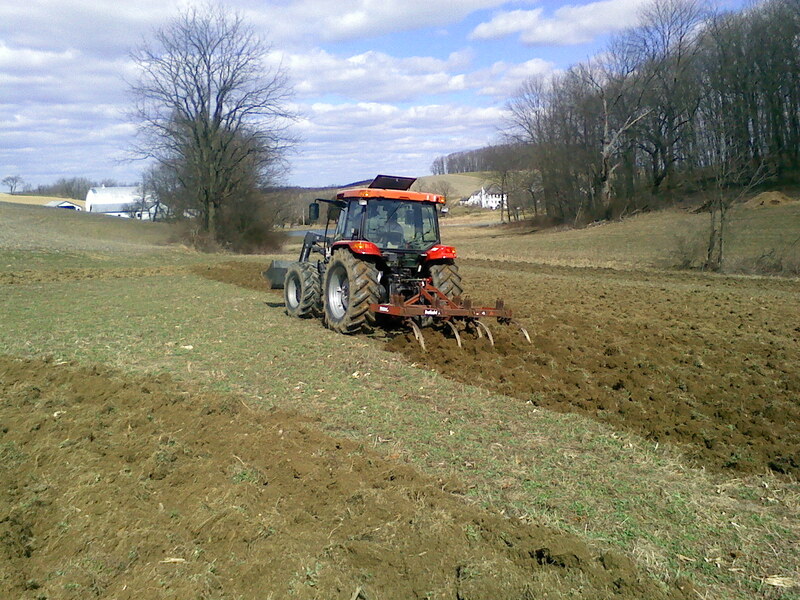 The chisel plow is attached to the back of the tractor with a three-point hitch. It’s actually amazing we got this done Saturday, because we started the morning missing the top link to this hitch. Thankfully, after a handful of phone calls to various tractor supply stores around the county, we found one a couple miles from the farm. The plow is lowered into the ground and digs up the soil a couple feet down, which in this case was a cover crop of medium red clover. Glenn and I rode together up in his tractor. He drove and I navigated. 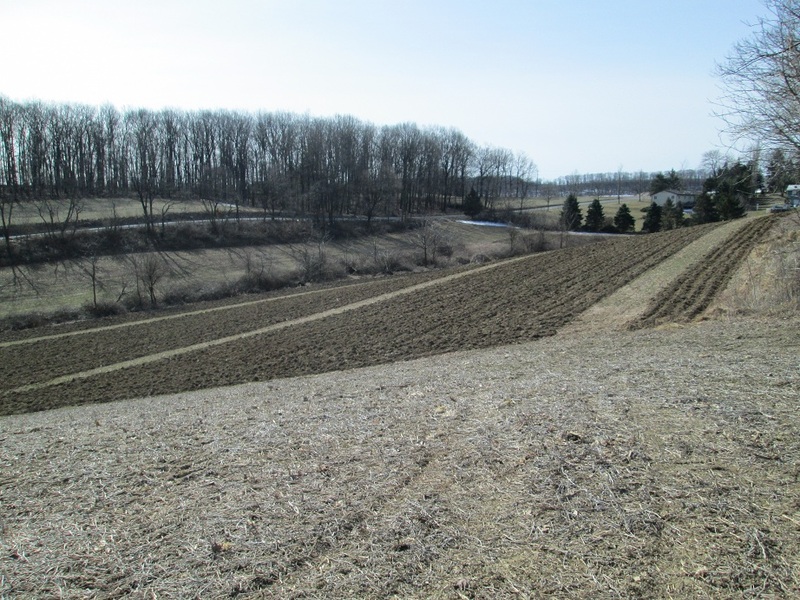 My mom and I measured out tractor paths before we started to plow, so there are several sections where we left clover growing to act as a natural erosion barrier and tractor path for both sized tractors and to limit soil compaction. Unlike some chisels, ours is wide enough that two of the teeth run behind the tractor wheels, preventing compaction and wheel paths. We let the ground set for a week, giving the organic matter time to break down, and then we’ll go through with the disc to chop of the ground further and smooth and even the areas into workable seed beds. We were missing the hydraulics in the disc, so we’ll be watching the mail and waiting for that to arrive before we can move on. This is just one way to prepare ground. Folks use rototillers or a number of other tractor equipment to similar results, but we decided this would be the most effective with the least amount of negative impact on the ground. Plus, Glenn had a bunch of fun dragging that sucker around the property. And at the end of the day, we had a plowed field. Last night I drafted my CSA agreement. It’ll be out for the public later today after some experience CSA-purchasers give it a once over. I’m going to be at an Ambler market, and it looks like we’ll be starting in Mid-May. 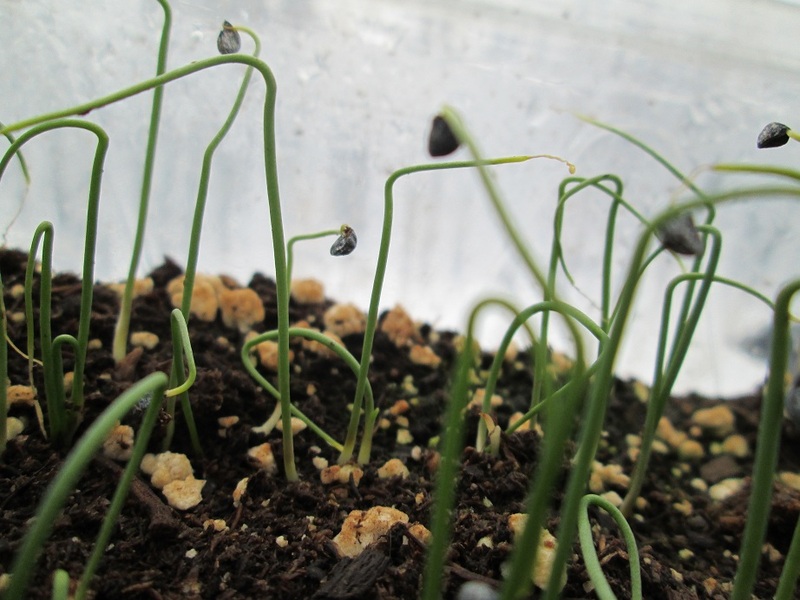 And I have seedlings in the greenhouse that make me smile whenever I walk in. 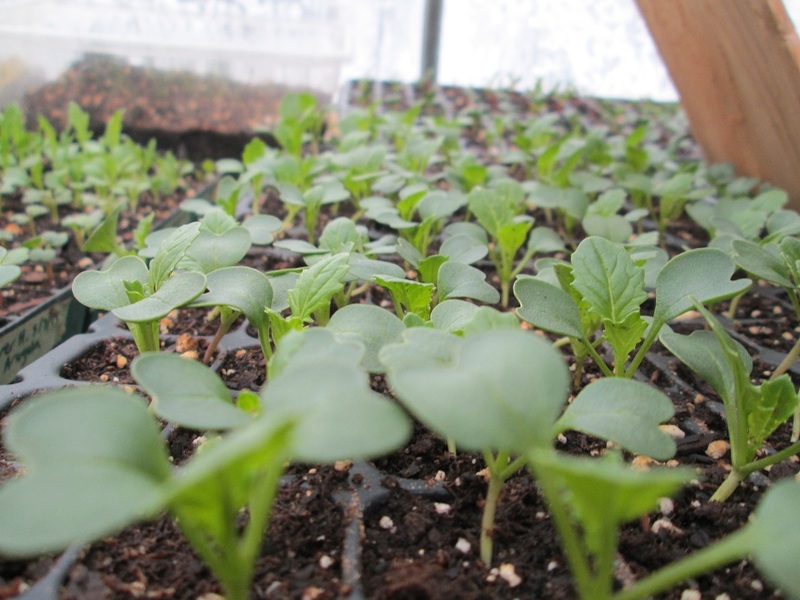 Who’s excited for broccoli raab?! Yesterday I built a propagation box for tomatoes and peppers. 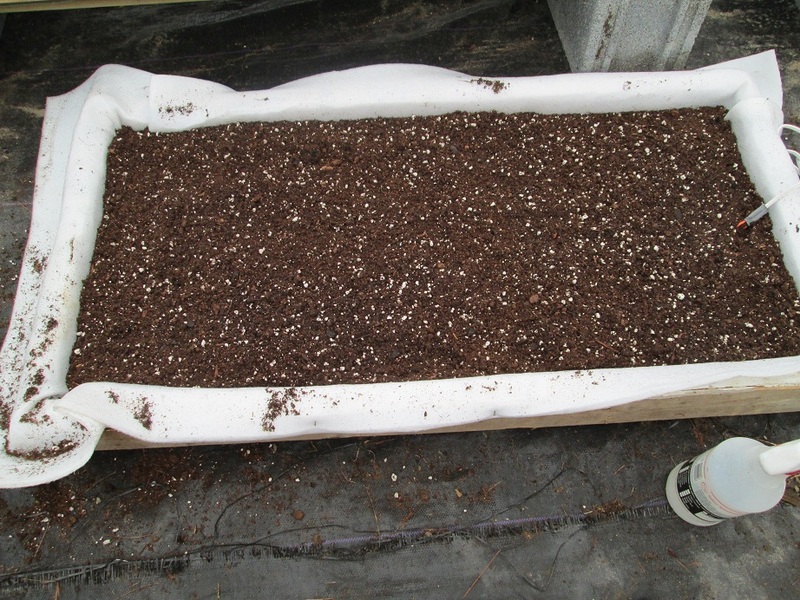 It’s similar to the heating beds, but in a smaller space and with soil instead of sand. 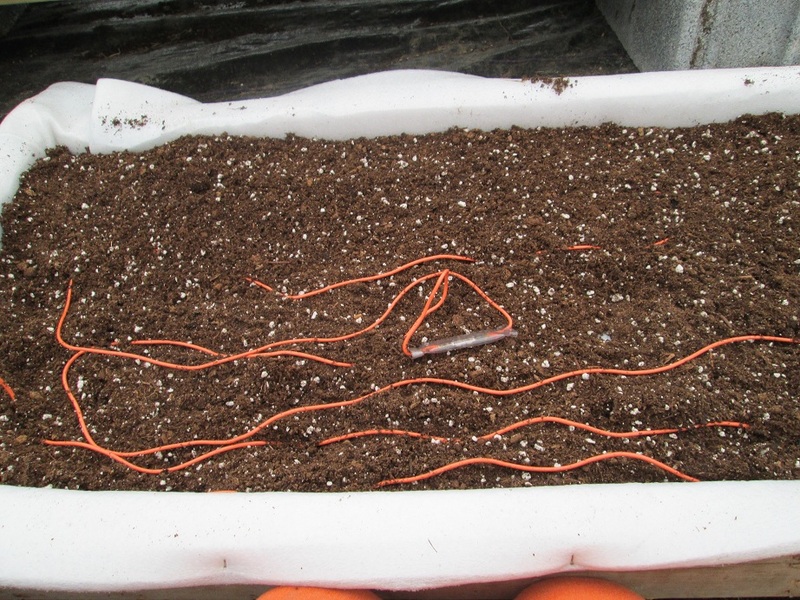 The orange cable is buried in the soil and will keep the ground warm. I’ll seed tomatoes and peppers directly into that box, and as the seedlings grow I will transplant them into individual cells. Painstakingly setting up the soil heating cables in the tomato and pepper propagation box. The wires can’t touch or cross or they short out (or so I’ve heard). Okay, tomatoes. Let’s do this. I also had the opportunity to hang out with some area farmers Sunday night, which was awesome and welcoming and delicious. My friends Mario and Steph, who I met at the Greenmarket last summer, invited me to Eckerton Hill, Tim Stark’s incredible farm over in Berks County, for a farm dinner with their co-workers and Tim. One seafood soup, mesclun mix, roasted carrots and escarole later, my stomach was full and my energy rekindled. Tim and I talked about growing up in this area (his employees are transplants and find our PA-Dutch heavy world quite amusing), and everyone was curious about my endeavors and encouraging. It was a blast. They have a winter CSA, an upcoming summer CSA, a market stand in Union Square and numerous restaurant relationships that carry the farm. Their small greenhouse on the property where we had dinner is full of thousands of seedlings, kohlrabi, lettuce heads and amazing greens. It was invigorating to see. And Mario used to be a chef in Manhattan, so his food (and recipes, some of which are on the farm’s website), are incredible. I am about to head off to my new part-time dairy gig – more on that in an upcoming post. I’m hoping this will help me diversify my skills and will help me learn how to work with bigger animals, which is something I’ve never done before. But we’re rocking and rolling up here in the Lehigh Valley and can’t wait to start working this ground. 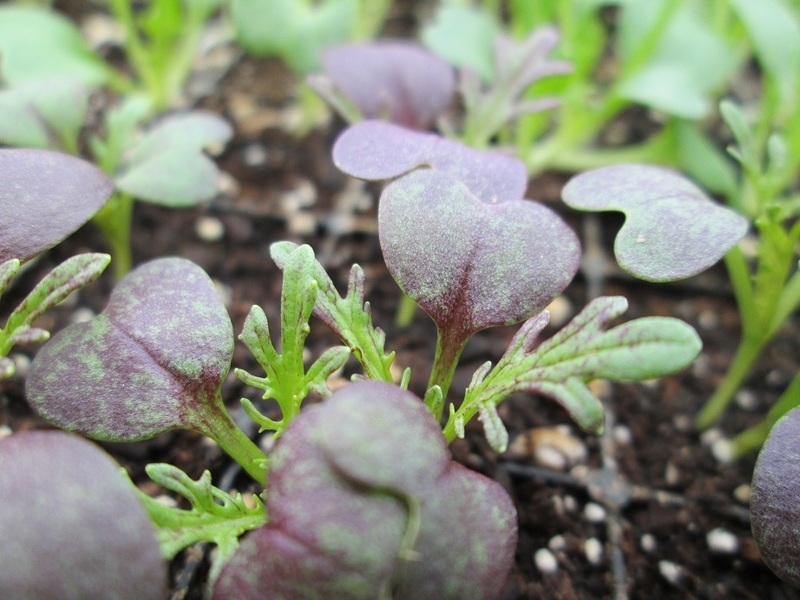 The beautiful and peppery ruby streaks mustard. Get ready. 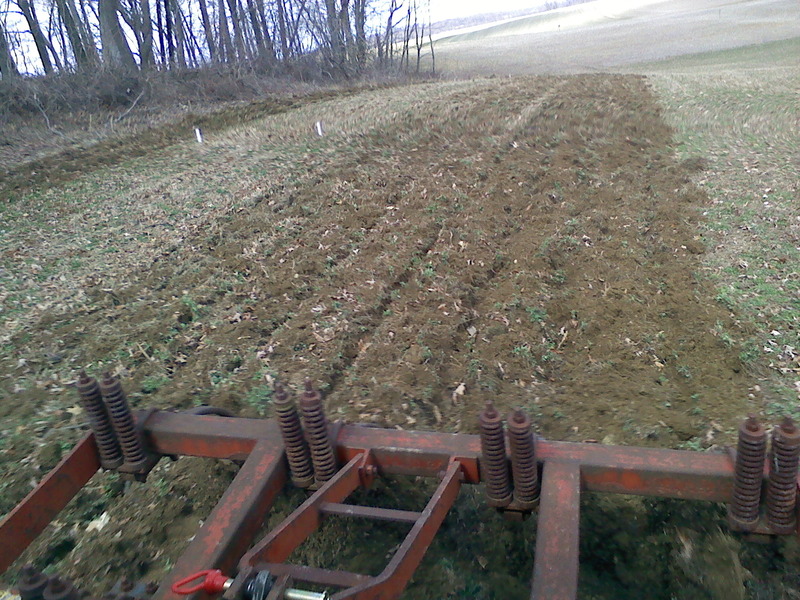 This entry was posted in Uncategorized and tagged Chisel Plow, Eckerton Hill, Greenhouse, Lehigh Valley Farming, Mesclun, Mustard Greens, Seedlings, Wagner Farmstead by wagnere1. Bookmark the permalink.